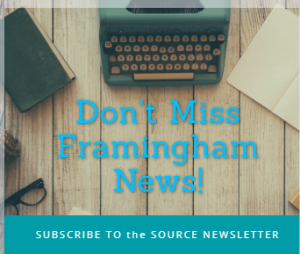 BOSTON – Grace Poku won the dash for Framingham in the girls indoor track team’s meet against Natick High School at the Reggie Lewis Center in Boston. Poku crossed the finished line in 7.42 seconds, her best time this season. The Framingham High girls lost to Natick 82-8. Junior Funmi Oyomire had a huge personal record in the shot put with a throw of 25-feet, and 2-inches, to captured third place. Senior Clara Small finished third in the 600-meter race for a point for the Flyers. Her time was 1;54.19 minutes. Patty Agbeh earned a point for the Flyers taking third place in the long jump at 14 feet. Framingham struggled against Natick, but in some event the Flyers didn’t even have three competitors. There was only one runner sin the mile, and no one from Framingham ran the 2-mile event. Framingham had no one competing in the high jump, either.